I’m back in the wild again—and it feels wonderful. 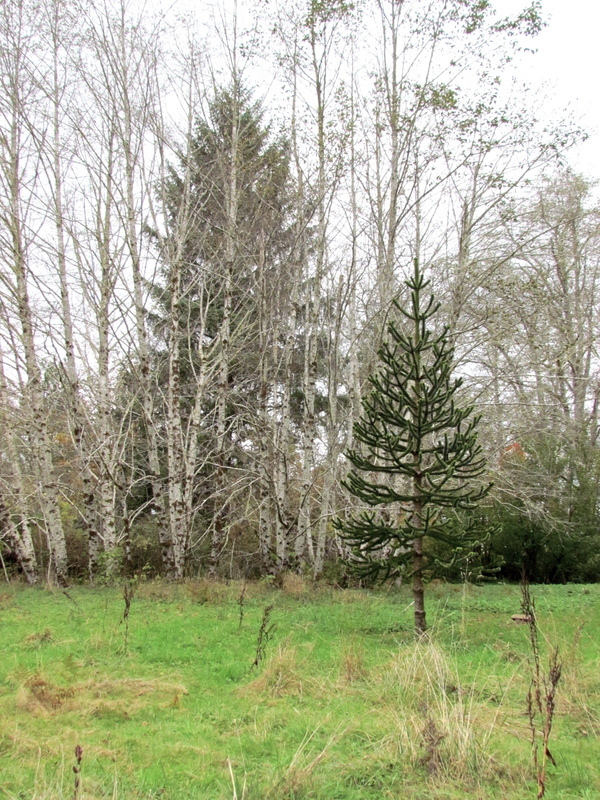 Yesterday found me foraging for materials to arrange in a small, coastal logging hamlet just north of Astoria, Oregon in SW Washington State. Nothing is more local than native plants. I was able to arrange 3 amazing pieces, but I will post them together on Thursday. This area has become a second home for me as it has for my father and other family members. 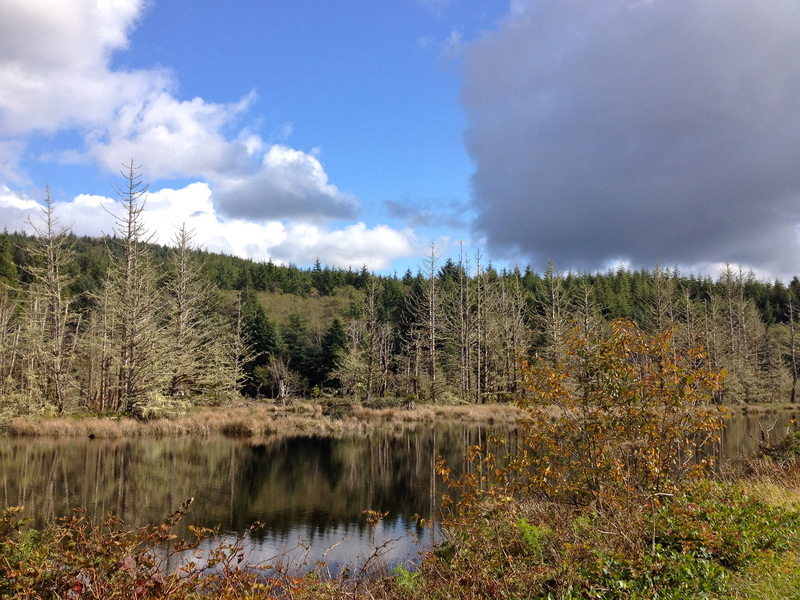 We are surrounded by nature here—and sportsmen and sportswomen. While my family likes to fish, I like to observe the natural world and I have always been the family naturalist. This open area is near the mouth of the Naselle River. 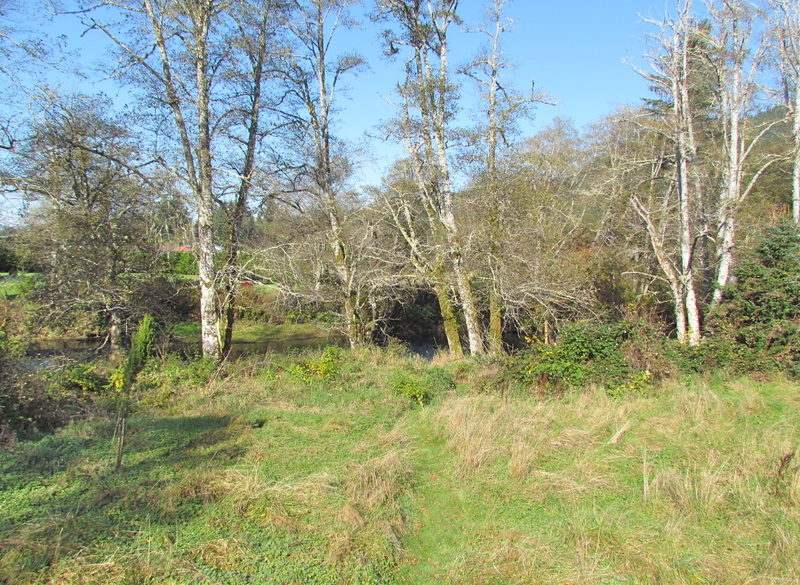 Just below here the river empties into Willapa Bay. 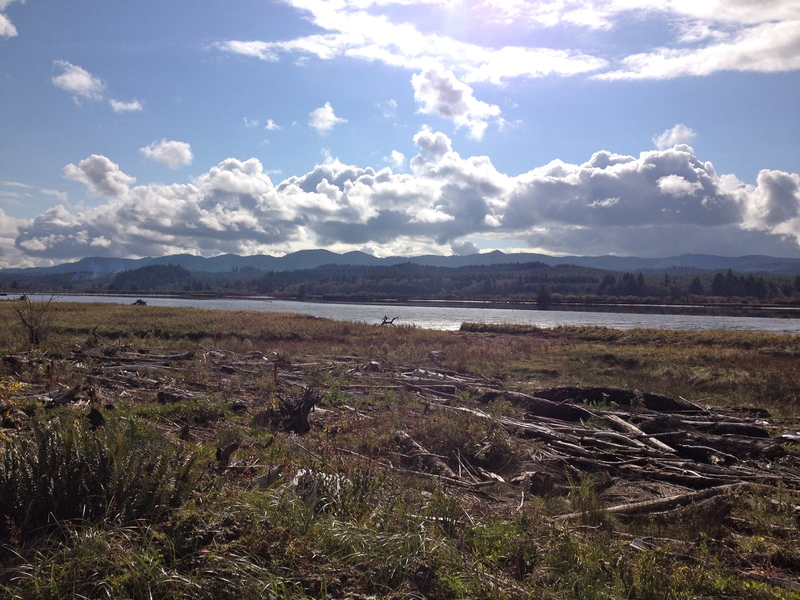 Around here, Willapa Bay means oysters. Not long ago there were Japanese families here working in the oyster farming industry. World War II changed that for them though, but Japan is never far away. Tsunami debris is still washing ashore. 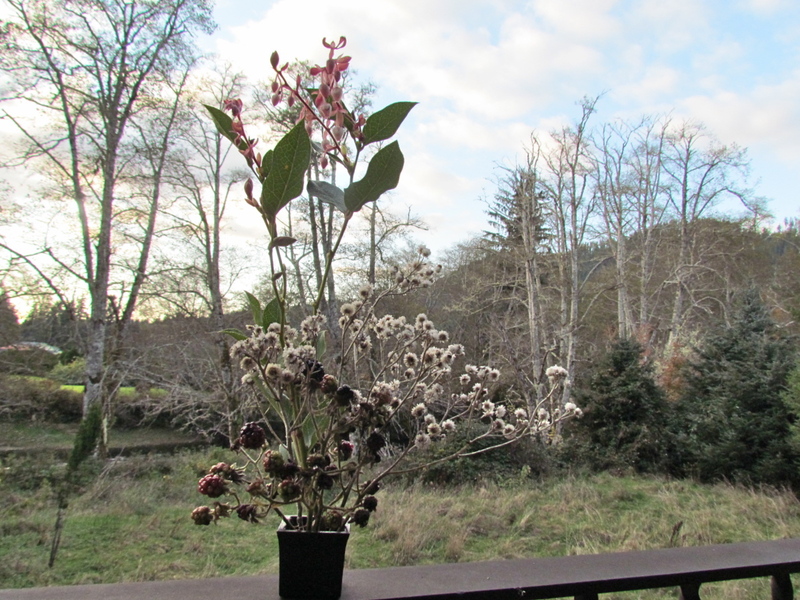 And I am making my Ikebana-inspired arrangements. 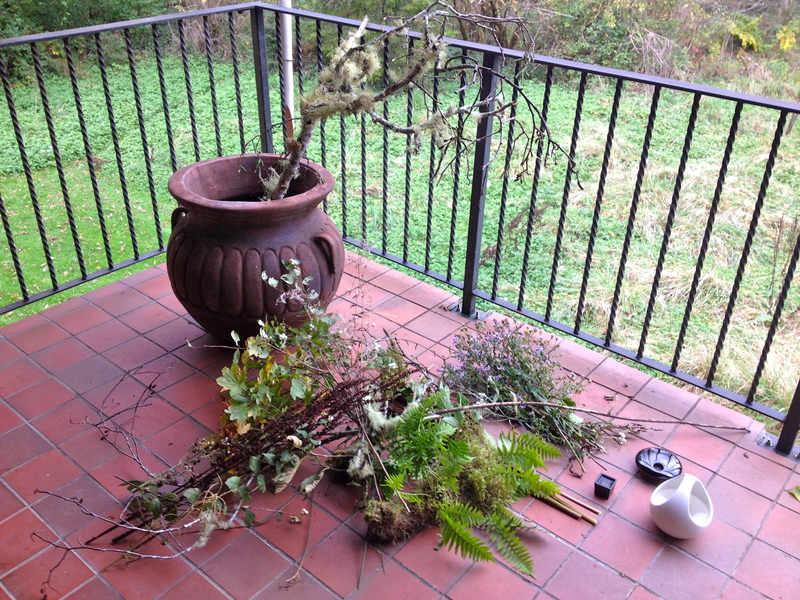 Collecting native plant materials was easy. During my last stop I parked the car at the bottom of a dirt road that led up into the woods. I got out, and as I went to shut my car door I turned to look up the road, into the darker stillness of trees, and a coyote was there staring back at me. It ran off and I walked over to collect cattails. 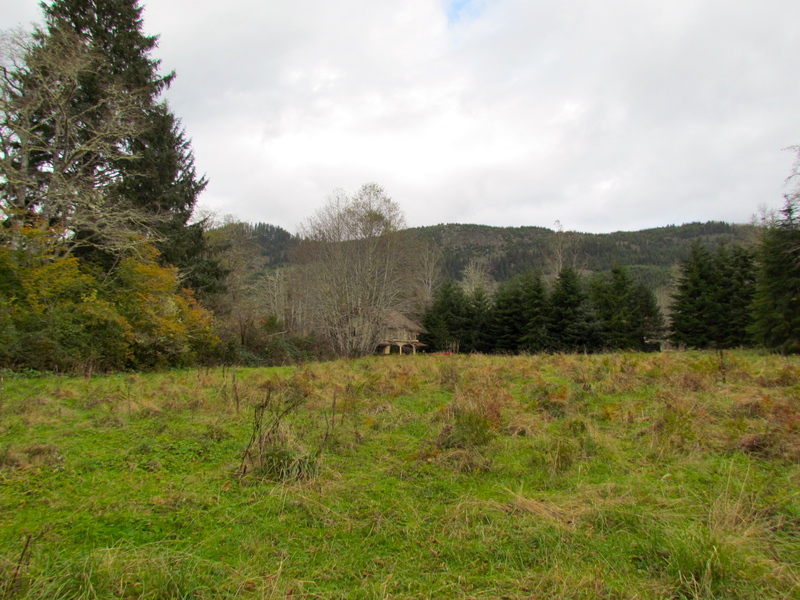 There is a large meadow near the family house where a local herd of elk regularly sleep. There are so many birds too. 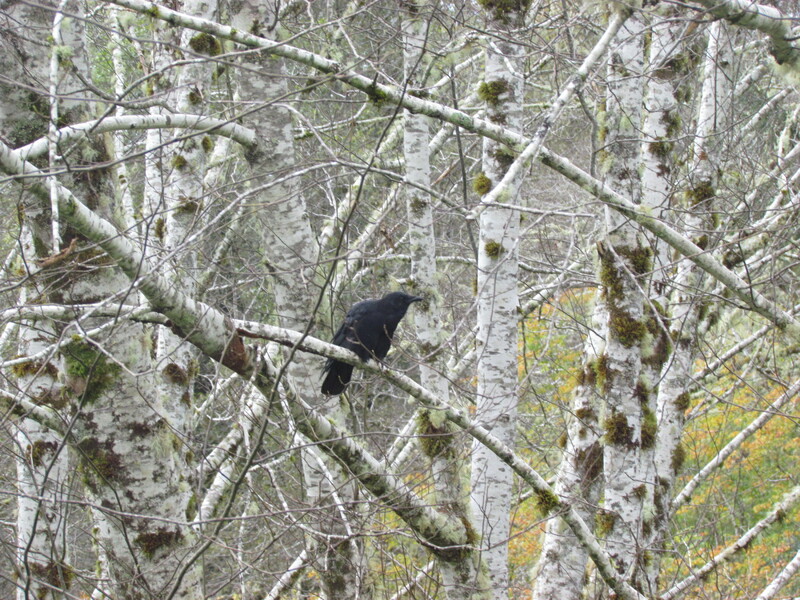 Yesterday we watched from the house as they flew down to snack on salmon carcasses. Then the murder of crows needed to be fed. Dad regularly cares for and feeds them. If you feed them, they won’t crow at you as you forage. I have learned to pay their toll. The shadows and shapes I see in nature haunt me. Arranging flowers helps me to sometimes communicate better what I see. 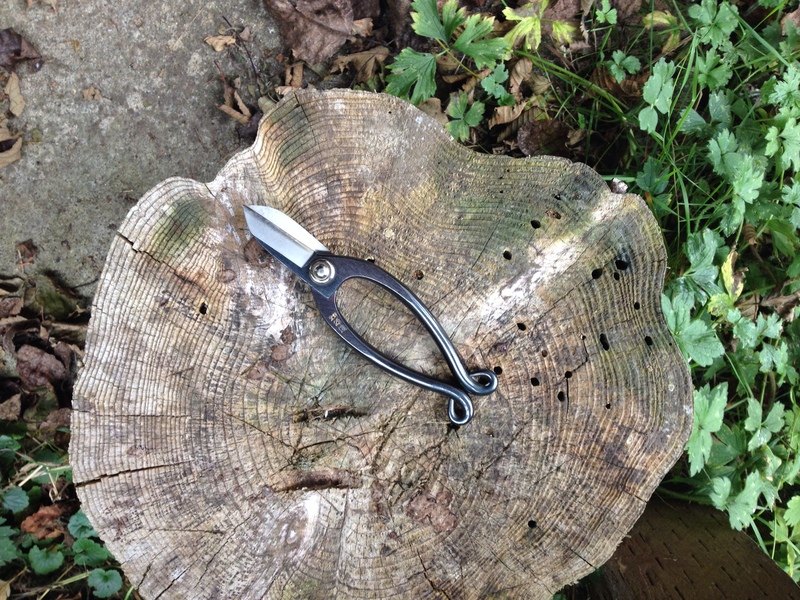 I admired my Japanese shears for a time and contemplated their necessity. 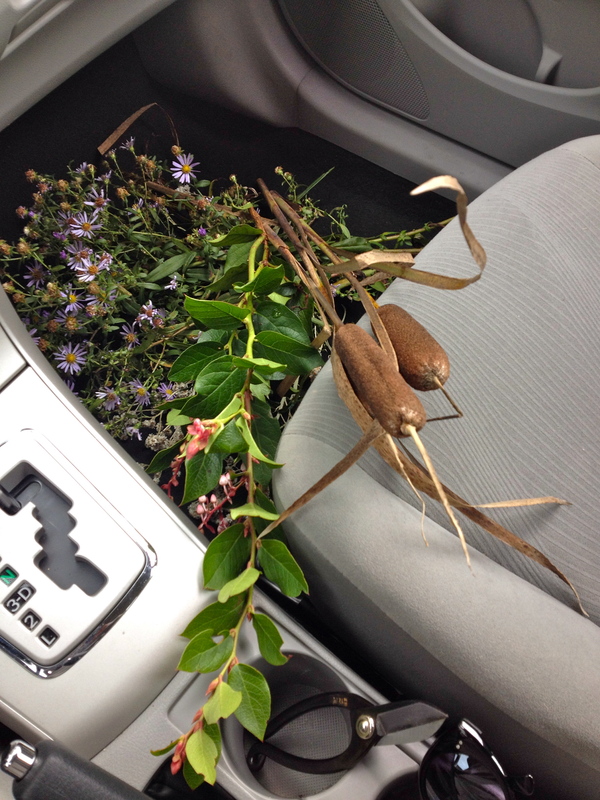 I guess when you make Ikebana arrangements, it’s part of your contemplative process. Making arrangements yesterday took all afternoon. I found it fulfilling and relaxing. 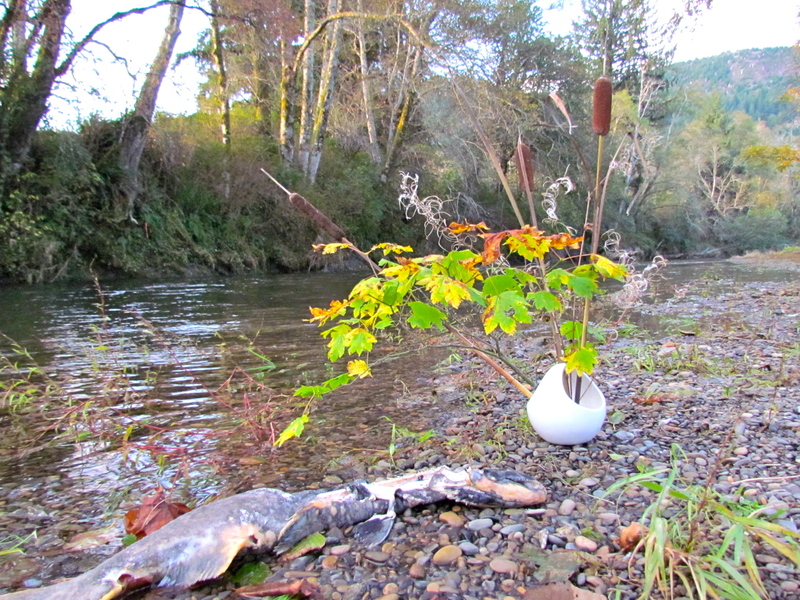 I thought a lot about the plants and their life cycles, and was thankful for the salmon too. It is autumn and I very much felt connected to it. In the middle of life’s meadow, I was present and appreciative of life and the natural world. It gives and I cannot give back to it. It takes, and I must accept that. Therefore we must appreciate it. It’s all we can do. I can now take some of these materials home with me. I want to be reminded daily in my home of the season and my place in it. Besides, I have a dinner party next week too.